I can’t seem to put down my knitting needles and made more knitted cowl ~ neck warmers! 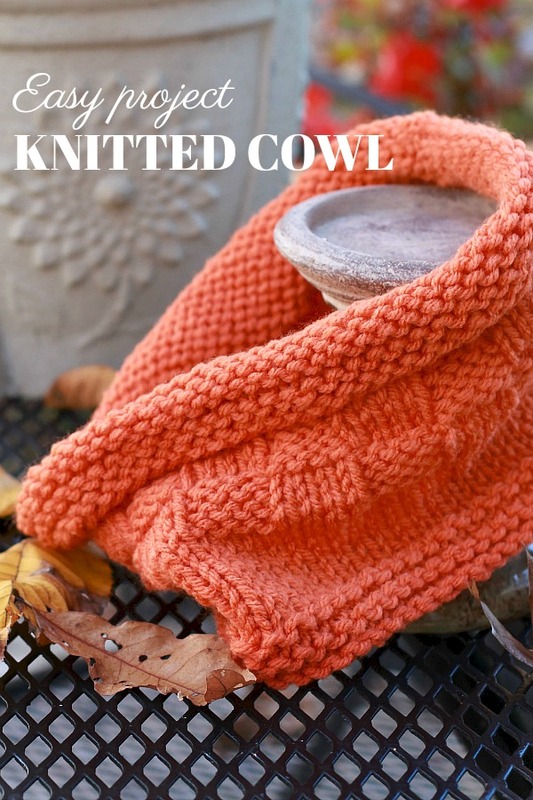 Here is an easy pattern to make a warm, cozy and stylish knitted cowl. 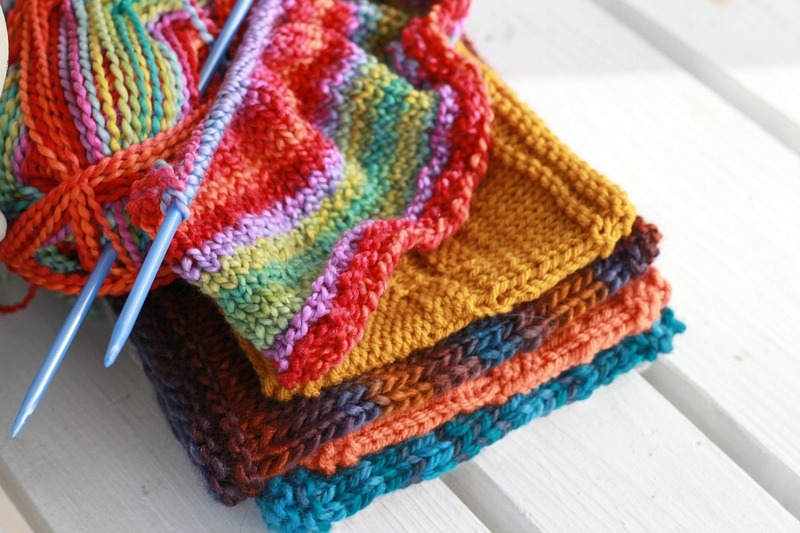 Knit in solid or variegated color yarn using basket weave. 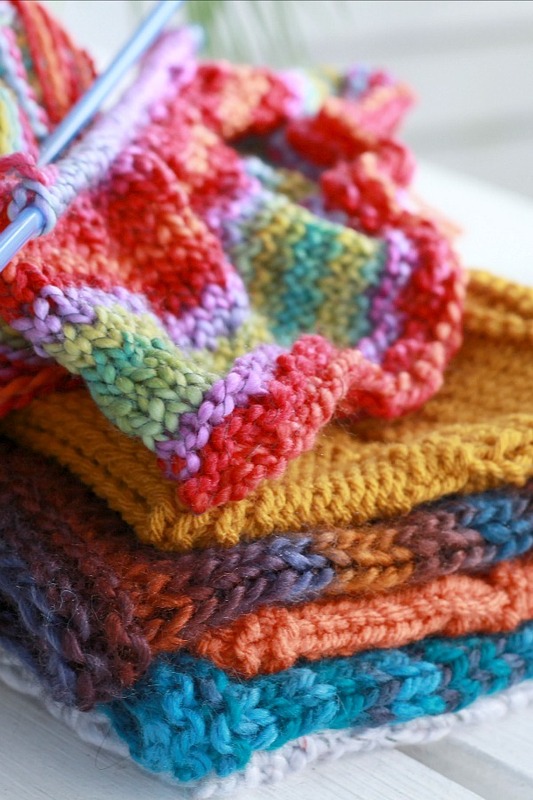 Not only will you want to make a bunch for yourself, they also make lovely gifts. 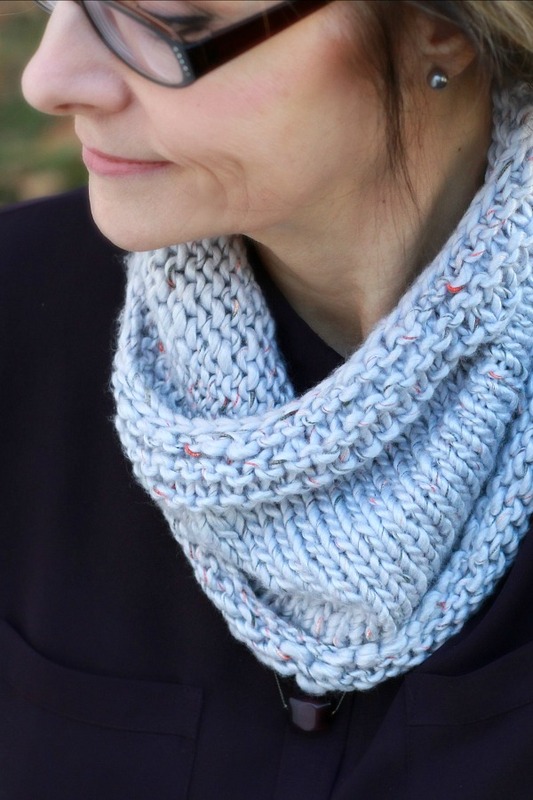 The knitted cowl works up fast and is fun to make using the pattern from Jersey Shore Alpacas and a slightly modified pattern. For bulky yarn I cast on 64 and use no. 10 knitting needles. For lighter yarn, I cast on 72 and use a no. 8 or 9 needle but you can use this as a guide for the yarn of your choose. If the yarn is a solid color, I usually add the basket weave pattern. I prefer to continue with just the stockinette stitch for variegated yarn but not always. I love the warm vibrant colors in this one. I found this bamboo/cotton/acrylic yarn in a clearance bin for $2.15. It is very soft! Though the projects in this post are not made with alpaca yarn, the one I made and posted here was. It is a most lovely yarn that was purchased at Jersey Shore Alpacas. This beautiful note card is the work of Juan, an 18 year-old deaf man living at Efata Children’s Home in Lima, Peru. 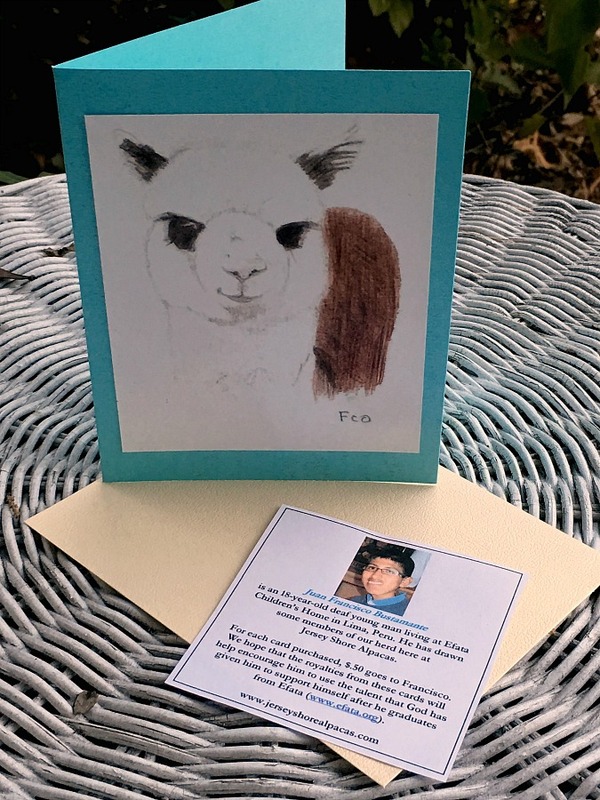 Jersey Shore Alpacas offer his note cards as well as beautiful knitting from a group of ladies who are staff and friends of Efata Ministries. Efata maintains a Christian school and orphanage for deaf children, Prices reflect the fair trade arrangement Jersey Shore Alpacas has with Juan and these ladies. 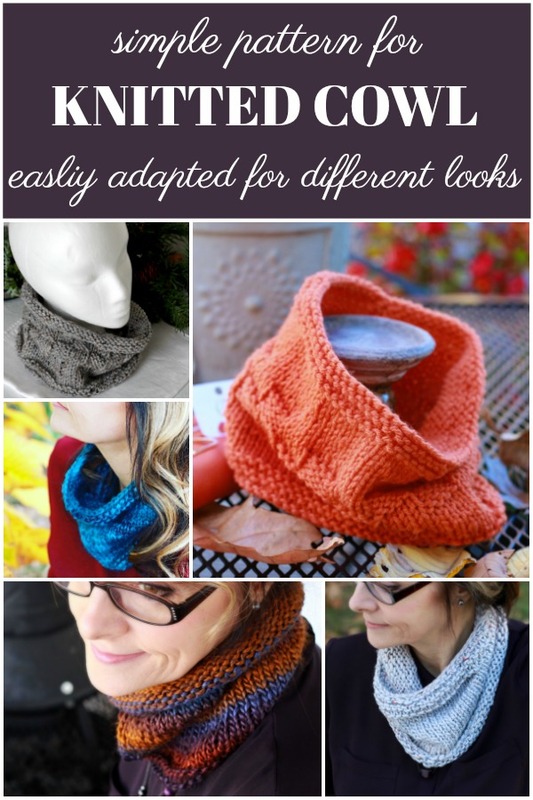 Your cowls are gorgeous! I always wish I was knitting but it seems other things take me away these days. You inspire me to get back to my knitting projects! 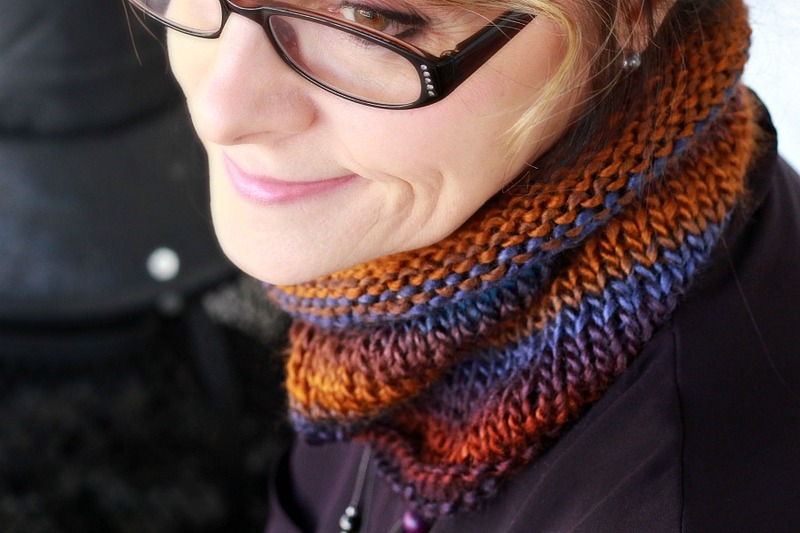 Your photos and cowls are so pretty! Just lovely! 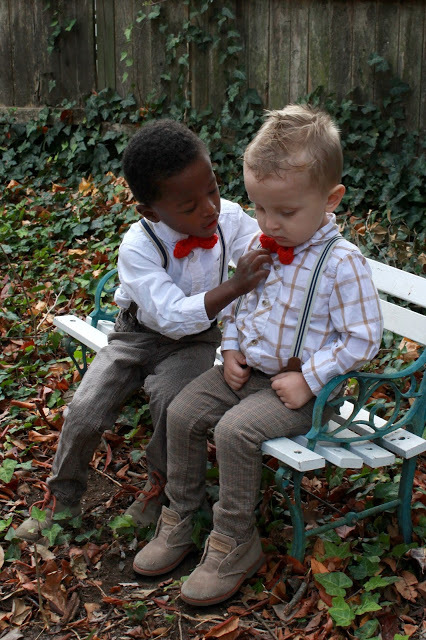 I love all the different combinations. 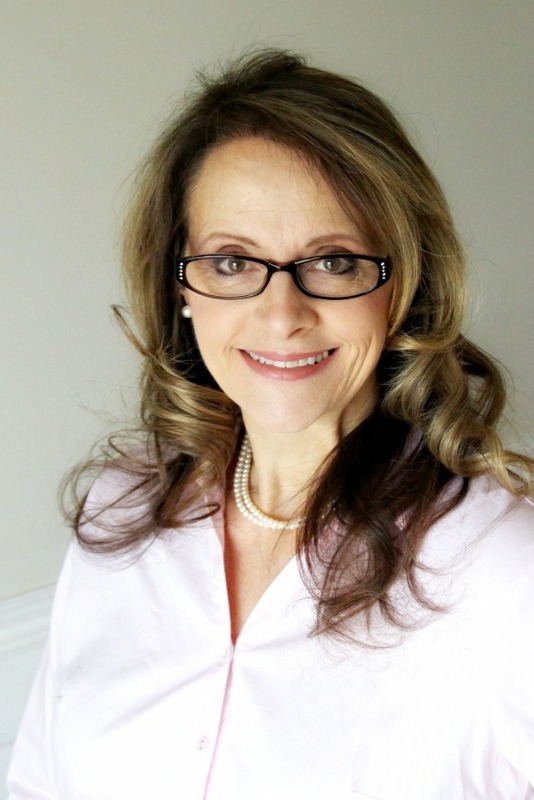 I love your photos, the cowl is so nice. Thanks for the pattern. Love your cowls. Such pretty colors. I've never been able to get the hang of knitting for some reason.